As “Search” goes “Social” and the fundamental fabric of Internet changes from a information democracy to social discoveries, Google has found itself behind the Facebooks and the Foursquares of the world. Especially because, Google’s other attempts at social networking — Buzz, Wave, orkut — have been largely written off as failures in the tech world.Google has a reputation for being far better with machine learning and algorithms than with leveraging friendships and social networks. Google provides information based on what’s statistically relevant. By contrast, Facebook surfaces info that people’s friends have handpicked or recommended as interesting. 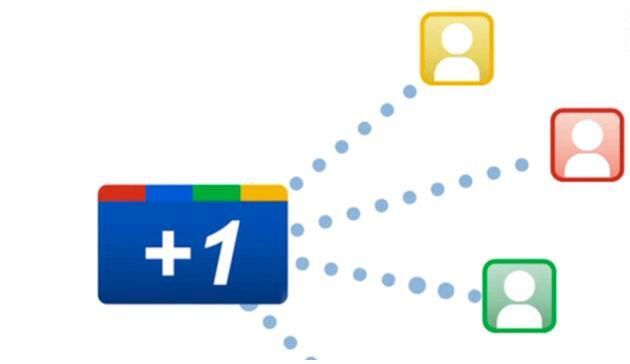 Google has now fired its first salvo at social search, called “+1,” which is Google’s answer to the Facebook “Like” button. +1 is a digital abbreviation of “Thats cool”. The +1 feature, however, could be Google’s shot at social redemption. This, then is the most awaited and highly anticipated “social layer” on top of Google’s computer search. Google believes that including +1 recommendations on ads will boost the rates at which people click on them. Eventually, Google plans to let third-party websites feature +1 buttons directly on their own pages, the company said. The ability to +1 ads and for that endorsment to appear on ads on websites other than Google’s is key. Microsoft’s search engine Bing has Facebook integration and Google’s “+1” is their attempt to infiltrate the social space. Google has presently the enabled the use of +1 to its US users only! This move essentially, could unify Google’s attempts at integrating personal recommendations into its computery search results.Google’s repertoire of search is so exhaustive that if Google should get its social layer atop its search it would actually be a a multiplier. Profiling +1s demographically can also produce an advertising tool allowing brands to target “niche audiences through specific content types”. For starters, +1 leverages the Google profile and Google friends or Social Circle. Of the 600 million Facebook population, most of the users actually pretty well who their friends at Facebook are. Google Friends — or the “social circle,” as this group is sometimes called — come from a strange “amalgam” of online networks, including Gmail contacts, Google Talk and people who are connected to your Google Profile through services such as Twitter. The result is confusing. There’s no sense of community or real social interaction and currently the Google Profile is some distance off from a “Facebook” like profile page. Thirdly, +1 is not the “verb” that Google wants to make it…yet. Very few people are actually using the service that the experience is a bit quiet, dull and not all that fulfilling. Unlike Twitter trends, +1 skips global aggregation of curated +1 content for everyone to see. Yes, you could view all the collected +1’s of a particular user on their Profile +1 tab, but again, that page has to be shared before you can see it. In its current form, Google +1 is not about conversation or, really, interaction with other people. It’s about finding good stuff. By itself, it’s not a social network and barely a social tool. There is nothing wrong with this small and relatively cautious step by Google. +1 is probably a piece of a much bigger social and content-curation puzzle. However to truly compete with Facebook, Google will have to transform Google Profile pages into a destination that brings together all its tools: mail, photos, video, messaging, search results, and sharing into a cohesive page where people want to spend their time. Did Amazon check-mate Google and Apple in the quest to Digital content storage in cloud? I had written about Apple’s music subscription services from the cloud and Google Cloud Streaming Music services. With the launch of its Digital music locker service, Amazon has beaten beat Apple and Google in the race to the cloud. Amazon has also launched its own cloud drive which would be a personal data disk in the cloud. While Google has started testing its Music streaming internally, Apple is working ona complete overhaul of its MobileMe services and will not look at a launch till Q3, 2011! The Digital Music locker, lets users store their music (AAC/MP3 formats in their original bit-rates) on the Web and then listen to their collections on computers (PC/Mac) with a Web browser or on Android devices. Consumers can store their digital songs, videos, photos, documents, and music. 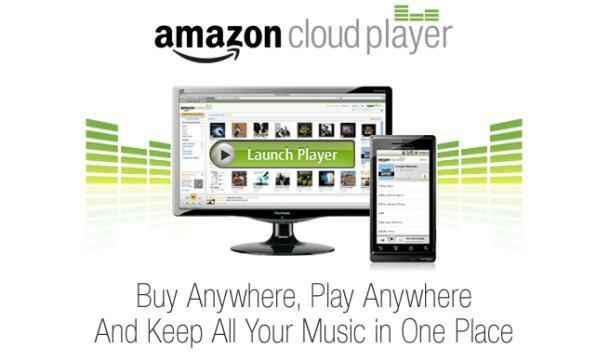 In addition, Amazon also rolled out the Cloud Player, which enables people to play the songs they uploaded to Cloud Drive. The ability to access music across a range of devices from the cloud directly eliminates the need of music transfer from computer to music players and cell-phones etc. 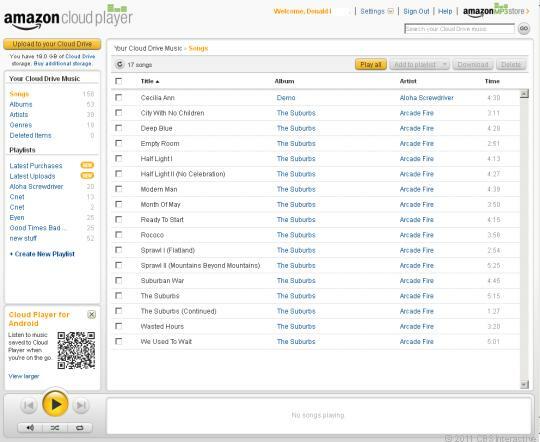 Amazon’s music locker can be accessed from all the major browsers: Internet Explorer, Firefox, Chrome and Safari.The Cloud Drive also allows customers to upload photos, videos, and documents, but those digital files are accessible only via a Web browser on a computer. However. Amazon is yet to license the rights from top Hollywood studios and music companies which would otherwise mount to violation of legal copyrights, licensing agreements and IPR for Amazon. Apple, Google, and Spotify appear to have put themselves at a disadvantage by waiting to roll out their cloud offerings until they obtained licenses. What this means for the cloud and competition? There’s nothing all that world-changing about Amazon’s announcements. Plenty of companies are already offering online storage for free, and music streaming services are also on offer by many. However its the mash-up of music streaming, cloud storage, cloud storage of e-books and movies which is suddenly making Amazon such a potent threat to Apple and Google. Movies you buy from its video-on-demand service, for instance, already stay on Amazon’s servers, so they’re safe and sound even if your hard disk crashes. And Kindle e-books automatically get shelved in an online archive, so you can download them to a Kindle e-reader, smart phone or computer — or all of the above. Users today have multiple computers, smart phones, tablets and even Internet-connected TVs.They had want personal digital media content to be accessible on all of them. Keeping it on the Internet makes that possible.Amazon is thus quickly moving to be the one stop shop for all “digital belongings” which were earlier a part of the local computer hard drive and will in future be available across devices and platforms. 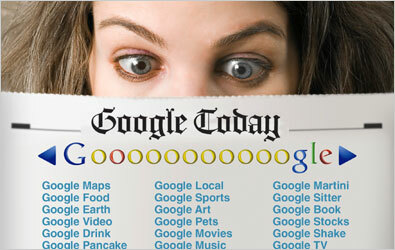 Google: From Search Giant to Media Powerhouse. What is fundamentally changing? As content bolts across both platforms and technology, doing taxonomy on media and technology companies is more complicated than it used to be. In quest of continuous conquests and staying relevant against a rapidly commoditizing landscape, is Google changing into a Media company as against Content-based businesses? Google has maintained forever that its main business is organizing and managing content. This intent of faith is increasingly being tested as Google treads newer ground. Prima Facie,Tablets have led the recent media-related deluge as they are fundamentally redefining the way content and media will be consumed. Google this February, announced a subscription based service called One-Pass to enable consumers to buy customized and relevant news and information for their tablets. Perhaps the best example of Google’s media proficiency is YouTube,which is a platform that is looking more and more like a network for a postbroadcast world. YouTube’s home page, which used to be a user-generated free-for-all, now has a clear hierarchy of channels, with an array of topics — “Entertainment,” “News and Politics” and “Sports” — that doesn’t look that different from the menu guide on my cable set-top box. Al Jazeera English, which can’t seem to find carriage in the broadcast and cable universe, has found a home on YouTube, where it has become the No. 3 news channel. Additionally, Google has secured deals with NBA, Lionsgate and is paying celebrities for launching their high profile- high traffic celebrity channels on YouTube which are content based agreements. The herculean effort of digitizing books is yet another example of how Google is not just media company but is rapidly moving into “owning content”. Google thus is working on the strategy of providing content to consumers and selling ads against it —which is unmistakably signs of Google moving into media space more than the content bit. Google, which has cracked the code on the Web advertising model, has come to realize that if content becomes just a commodity, then advertising will follow suit. Having created a healthy web eco-system around high quality content, Google is trying to arrange the bits in an innovative order and trying to monetize this high quality content. For starters, being in the media business means looking at media a little differently than being a crawling the web for best search results with a sponsored ad thrown in. Google has long insisted that it has no plans to own or create content, and that it is a friend, not a foe, of media companies. Google in its Search avatar is a traffic generator for folks in media with websites. The Google vision till 2 years back was to be the best conduit connecting people between whatever their search is and the answer they are looking for. Thus Google was not interested in owning or creating content.The question in people’s minds would now be, how unbiased can Google be as it grows and grows and grows and stretches itself into Media. Google has always said it will never compromise the objectivity of its search results. Content based agreements with NBA, Lionsgate, Google Books and the celebrity channels on YouTube could tilt the neutrality of search results ever so lightly now. Google’s growing reach into the content business could create conflicts similar to those faced by Microsoft in 2008 in its dual role as a provider of an operating system that others run their software applications on and a maker of applications. It is increasingly becoming clear that the company will not shy away from entering what it considers “high-value” content areas. Mobile number Portability, much debated and delayed in execution is finally turning out a bugbear in as far as its “game changing” attributes are concerned. 1. 1.9 million subscribers have opted for a operator change keeping their number constant.That is less than .3% of India’s 771 million subscriber base. 2. CDMA operators as expected are the big loosers with Reliance and TTSL showing downhill numbers. 3. The ad campaigns by Idea and Vodafone seems to have given it traction as both these companies topped the national no.1 Airtel in MNP subscribers addition. 4. What is not spoken about in this data and not documented is the number of subcribers who were retained by the incumbent operator and the cost of retention. Some of the offers extended have been obscenely high. 5. Net, MNP has had very little impact in Indian markets. However, it would be in best interests of operators, customers and markets that a charter of “to-dos” that i had discussed in an earlier post are adhered to for stemming loss of high net worth customers to competitors going forward in MNP regime. AT&T would acquire T-Mobile USA from Deutsche Telekom in a cash and stock transaction valued at $39 billion by the next 12 months and is awaiting the go ahead of regulatory authorities. This would make AT&T, the leading operator in USA with nearly 39% of US wireless market shareand $79 billion in revenues with 128 million subscribers. AT&T’s surprise $39-billion acquisition of T-Mobile USA Inc. could lead to more consolidation in the U.S wireless industry, leaving the market with just two dominant providers — and the prospect of higher rates and fewer choices for consumers. The potential market shift could force Verizon to consider making a large acquisition itself, analysts said, possibly including Sprint. 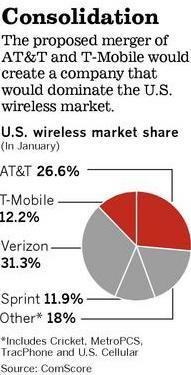 But Sprint itself may snap up one or more of the many smaller providers, such as U.S. Cellular and MetroPCS. This is a surprising development that leaves Sprint a distant third behind AT&T and Verizon. The deal delivers multiple benefits to AT&T, most notably valuable spectrum to aid capacity issues and support 4G LTE roll out.AT&T asserted that the deal would increase competition and lower prices. AT&T also said that the merger would allow it to accelerate the spread of faster, next-generation wireless service —4G. Besides the synergies and savings from closing overlapping retail stores and call centers, AT&T absorbing T-Mobile’s network will give it more spectrum to manage the data traffic surge that the market has seen inthe last few years. According to data sources, data traffic has surged by 8000% over the last 4 years after the introduction of iPhone. However, regulatory approval in this case may prove challenging. federal antitrust and telecommunications regulators such as the Federal Communications Commission and the Justice Department are likely to weigh the benefits of market and technical efficiencies achieved by the merger against the potential loss of competition. Regulators are also likely to scrutinize the combined market share for both Internet broadband services and wireless telephone services. 600 million is the number of users on Facebook. Most of these users are admittedly from US, Mid East, Latin America and West Europe and other geographies with a high internet penetration. In an earlier post some months ago when Facebook had touched 500 million, I had mulled about the next wave of users for Facebook. Facebook’s acquisition of Snaptu is perhaps one answer to Facebook’s growth conundrum. This is being hailed as a Good Move for FB. It will give them a ready access to millions of feature phone users in Non US market where majority of folks don’t have access to PC. The estimated value of the acquisition is put at $60-70 million, and some reports peg this lower at $40 million. 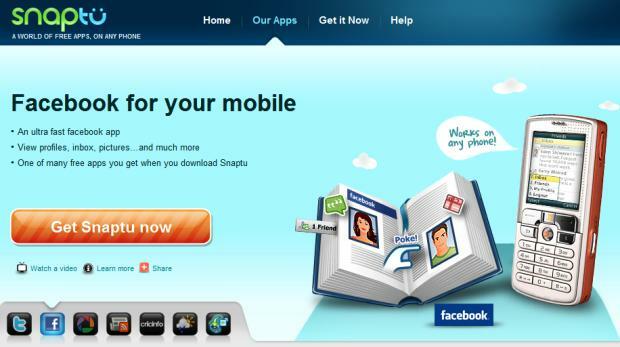 Earlier this year, Snaptu announced the launch of a new Facebook mobile application to give people a great mobile experience on a broad range of feature phones. The Facebook for Feature Phones app currently works on more than 2,500 devices. Apart from Facebook, Snaptu also provides feature phone access to other products such as Linkedin, Twitter, Picassa and more. This is the second international acquisition for Facebook after Malaysia’s Octazen. It marks its fourth purchase this year, after earlier picking up Rel8tion, Pursuit and Beluga. Facebook is planning to offer multiple deals every day, focusing particularly on activities that can be shared with friends, such are visiting restaurants and concerts. The strategy builds on the company’s existing Deals program, which is offered as part of Facebook Places. Facebook is testing a new discount service that allows people to buy deals on Facebook and share them with their friends. This then is FB’s most direct assault yet on local deals giant Groupon. FB is in a pilot to test this service in Atlanta, Austin, Dallas, San Diego, and San Francisco. Google has recently launched a similar check-in deals service for Android smartphone users. Like Facebook, Google’s efforts borrow from the Google Latitude, Google Maps, Google Places and the Check-in app. Google’s move highlights its aggressive measures to target the intersection of local search and e-commerce in the wake of the company’s failure to acquire Groupon for $6 billion. Yahoo Local on its part has partnered with Groupon, LivingSocial, Coupons.com and more than a dozen other companies to surface deals and coupons from restaurants, spas and local clothing shops. 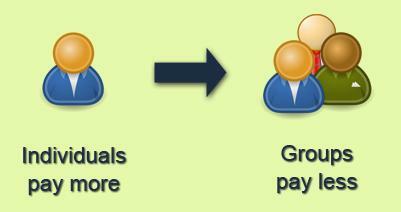 Users are prompted deals basis his profile and relevance of the deal to his online buying behavior. Yahoo and its partners would share revenue generated from any local business deals consummated by consumers through Local Offers. With check-in deals, Google, Yahoo and Facebook have joined Foursquare in dipping their toes in the deep pool of mobile, local and social search. These efforts take advantage of the intersection of users conducting searches for local businesses from their mobile phones and get deals. Foursquare is one of the old boys in this list and is looking to steer and stay ahead of the pack by introducing location-centric deals. Foursquare users have previously been able to see nearby offers from local merchants, but they had to hunt for them on a large list. Now the deals will be aggregated by locations which will make them easier to find. To make things better, Foursquare also has added a Analytics spin for its vendors. Foursquare Merchant Platform, now includes a gender breakdown of checkins, a breakdown by time of day and other data that the company hadn’t shared before. As previously, the program is free to vendors. LivingSocial Instant Deals provide a platform for merchants to create deals and get traffic through their doors when they most need it, such as during slower business hours or when they have an inventory of specific items they’d like to move. While LivingSocial daily deals are live for 24 hours, Instant Deals will only be available for a much shorter time, for example a restaurant can gain some additional traffic by offering a special that’s available only between the lunch and the dinner crowd. The deal can be redeemed at the merchant’s place by showing the phone and the Living Social authorization message. In a report in December, LivingSocial said it brings in about $1 million a day. Groupon may not have been the pioneer at Collective buying as a business(That crown belongs to LivingSocial).However, Groupon has made the most news bytes and has the best presence in US markets. 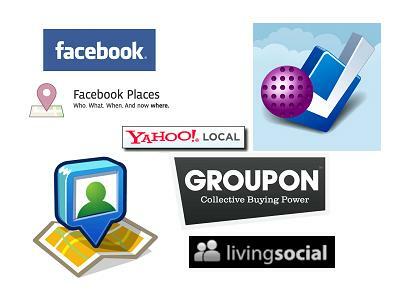 Groupon registers 178 cities with deal-a-day sites reaching 102 million people in the United States. Groupon Inc. may go public this year and be worth as much as $25 billion in its initial stock offering. In trying to stay ahead of the herd, Groupon is not reported to be looking toward the enterprise space, with at least one coupon for IT services consulting in the mix.As with Foursquare, Groupon is also is pushing the envelope with geolocation technology, using hyper-local targeting to reach customers who might be within a few blocks of a client with coupons for, say, a lunchtime deal. Social Networking, Mobile computing and Collective buying are natural siblings in the era of convergence and connectedness. The Collective buying space is growing fast and is quickly able to cater to both users giving them discounts and bargains they have been looking for and for local business men as well, who now have the ability to push products which are loosing their marketable prices at discount prices rather than booking losses on the whole stock. A few months back, Groupon made news because of a Google take over attempt for $6 billion. Groupon has stayed in limelight ever since. However, what has also emerged is the emergence of collective buying as a trend either in its original form or in different guises. This post examines the emergence of collective buying as a trend with lot of future potent. Collective Buying Power with huge base discounts can only be redeemed if a certain number of people agree to buy the deal together. Web-based local deals is a market that startups such as Groupon and LivingSocial have blown right open by cold-calling and visiting local businesses to get them to mark down goods and services for the sake of bumps in volume. Collective buying rides the current wave of social networking to Facebook, Google, Yahoo and others are looking to join the fray. For merchants, it’s a chance to fill empty tables or bring in customers during historically slow times. Local businesses have never really had a simple way to manage their perishable inventory, especially labor and food. Why waste those resources during slow periods when you can bring savings-savvy consumers through the doors with a highly targeted local deal?For users, obviously, it’s a chance to get more deals, with the added convenience of location and the added urgency of an expiration hour, not just date. The second part of this post will be about the various players who feature in collective buying. As mobile apps gradually gain mainstream, companies are already beginning to take poll positions in terms of promoting their standards as the default industry standard.Here’s an article from zdnet by Ben Woods, which speaks about Oracle’s app development framework for Java apps that can also be featured on other mobile platforms.This effort would also help Oracle to get more developers on the Java Apps and enable the development effort. Oracle has launched an extension for its app development framework that provides tools for developing Java-based apps on a variety of mobile platforms. The Mobile Client is an extension of Oracle Application Development Framework ADF and can be used to design apps in a mix of design and Java code view. Oracle said the new toolkit allows developers to quickly build enterprise applications for a range of mobile devices without the need for future redevelopment. “It simplifies application creation and deployment using a single, standard Java user interface (UI) framework and tooling for all supported devices. Developers can build once and deploy to multiple devices – and as support for new devices is added in Oracle ADF Mobile Client, applications can be deployed to the new platforms without redevelopment,” the company said in a statement on Monday. The mobile client will support development of Java-based apps, which can then be run as local applications on a mobile device. Currently, apps can be deployed directly to Windows Mobile and BlackBerry devices. Oracle said that deep data service integration and the ability to access real-time and offline data sources make it well suited for developing apps across many enterprise sectors. The tools provide Oracle Database Lite Mobile Server for configurable data synchronisation tasks. The software is designed to work with the Oracle Fusion framework but can also be used with other web services, Oracle said. Apps built using the client can also access certain parts of a device’s hardware, such as the camera, GPS or barcode scanner using natively embedded Java code, in order to provide extra functionality.